Why do I want to change the shocks? Where can I get uprated shocks from? Check out the links section. One place to get these from is Fensport. 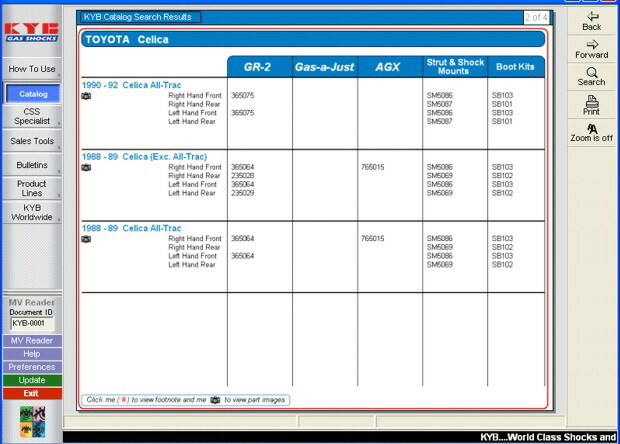 Their KYB 365077shocks are allegedly 20% uprated over the stock units. They are a large step in the right direction, but if money was no object then you might want to have a look at the Whiteline stuff! At the time of writing this Fensport are selling some Whiteline stuff, but some of this is available cheaper from Demon Tweeks! You could get the 365077 shocks from a parts supplier e.g. Partco, Motaquip, HAE etc. They would be cheaper but the necessary spacer would be missing. If the spacer was flat then this wouldn't be a problem, but it's shaped to the strut securing nut...damn. 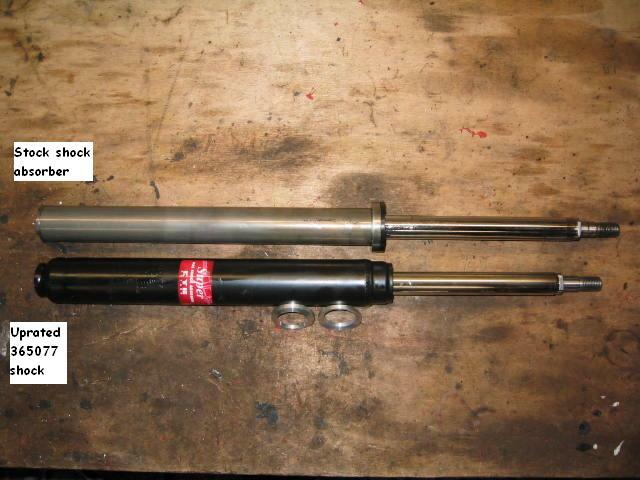 KYB manufacture the original shocks and they also manufacture 765015 AGX 4 way adjustable shocks. KYB UK, USA and Japan have confirmed that these will fit but they are 5mm longer than the stock shock. Until I fit one I may never know if they are any good or indeed if they fit! Please e-mail me if you've fitted these! 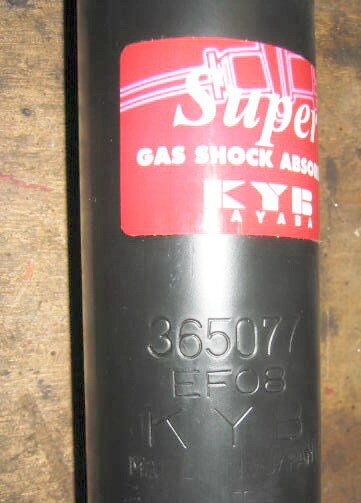 These shocks are also listed as a direct replacement on the KYB USA downloadable suspension catalogue. Did you notice any improvement? Definitely. The car was much firmer, handling was sharper and less "woolly". 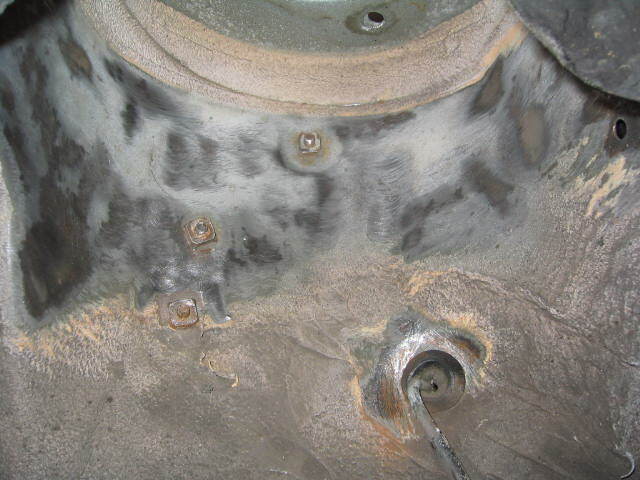 Note that the car had all the bushes replaced and also had stiffer springs. 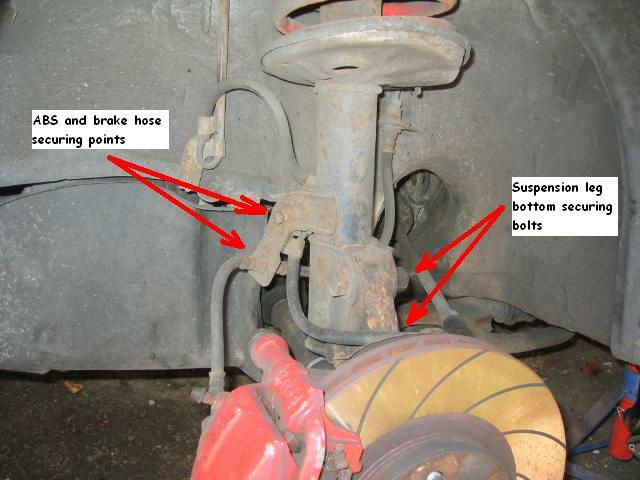 Remove the wheel, chock the car and stick in a couple of axle stands. 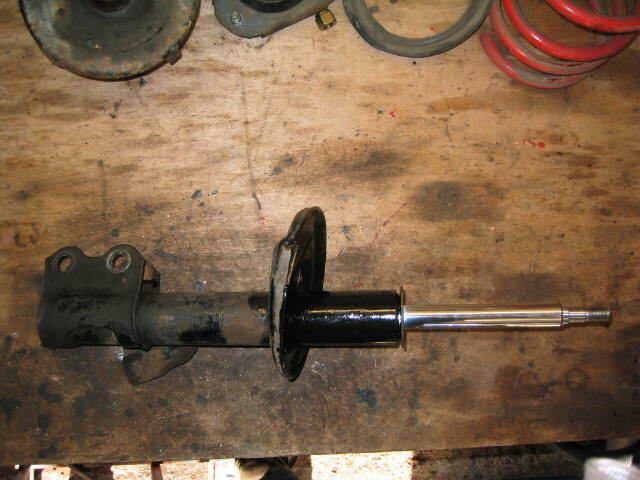 Undo the brake pipe from the suspension leg and then the calliper, feed it up and out of the "loop" on the leg and reattach it back to the calliper to stop it dripping everywhere. Unbolt the ABS securing bit. 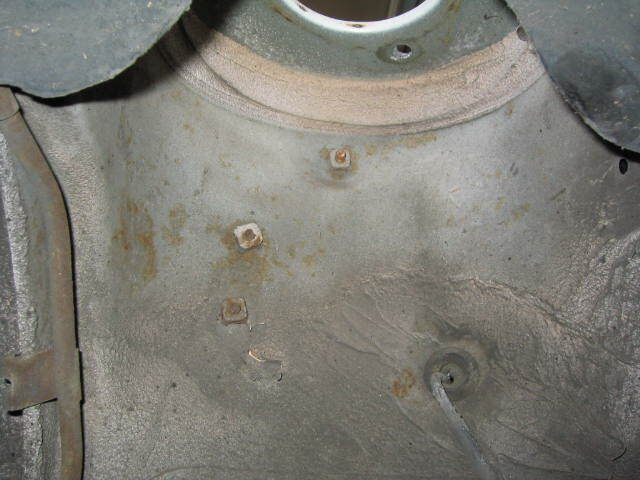 Loosen both bottom suspension leg bolts and remove 1 of the bolts. 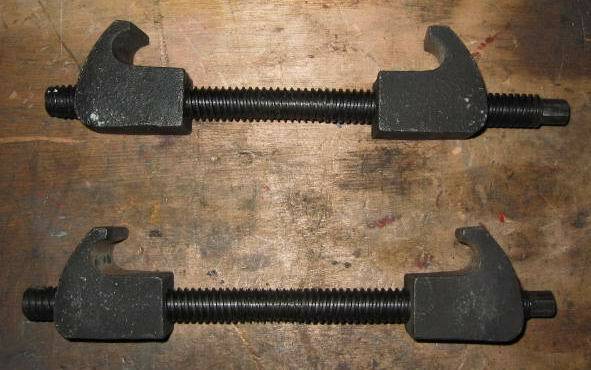 Note do not push the bolts through with your finger, you might loose it if the car or strut moves! The old and new shocks. You can clearly see the difference in length between the stock shock and the KYB 365077, that's why you need the "domed" spacer (supplied as part of the kit when bought through Fensport). 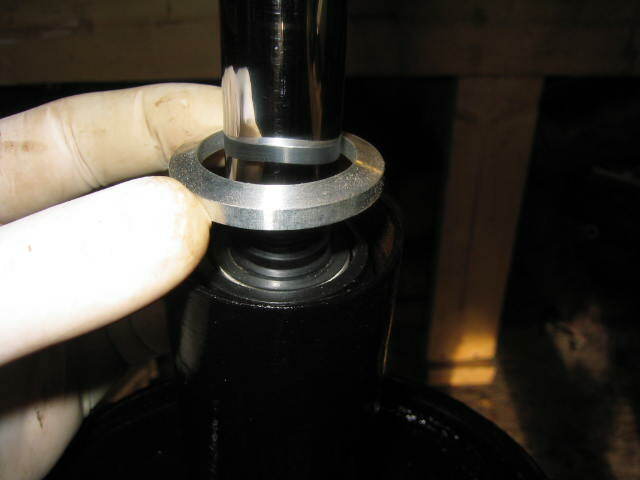 This shock is a direct fit for the 185, no space should be utilised when assembling the suspension leg. 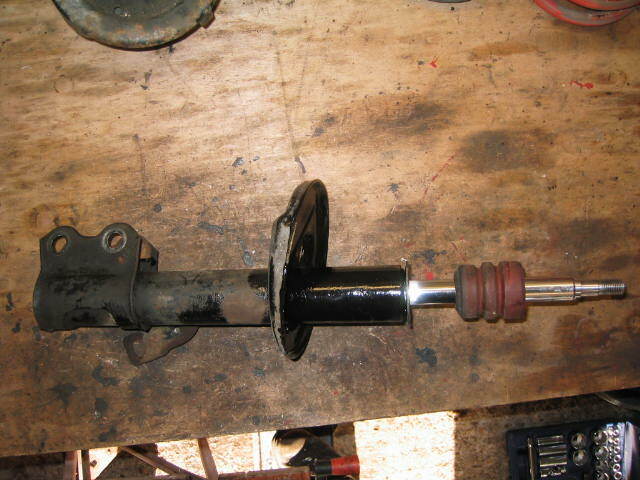 I cleaned up the suspension leg from loose rust and gave it a coat of anti-rust and Hammerite before I reassembled it. 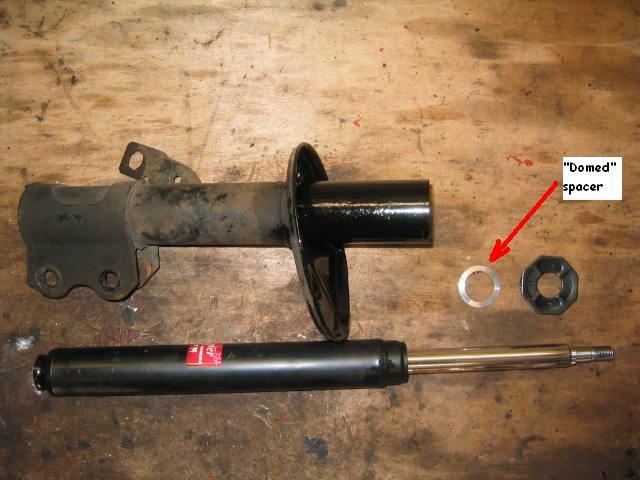 This article is intended as a helpful guide and shows how I replaced the front 165 shock absorbers. 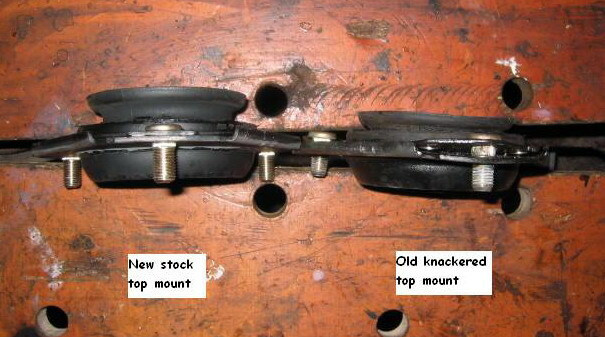 If you are in any doubt, or not qualified, do not undertake this modification, consult a qualified mechanic. 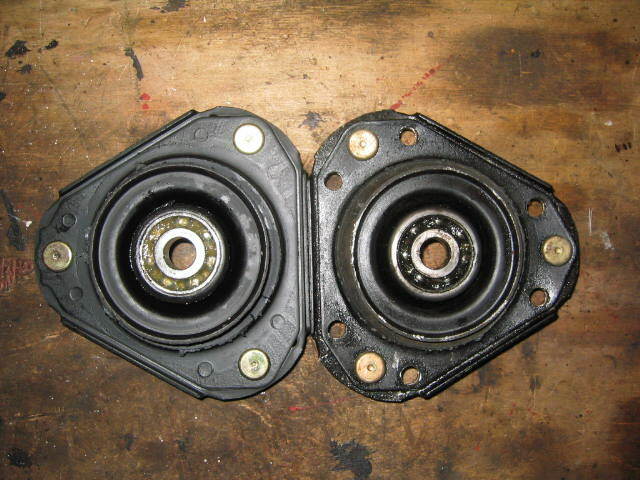 Alteration of suspension parts away from the manufacturers design is not recommended and undertaken at your own risk!